The White Carpathian (Bílé Karpaty) Mts. are important especially for their vast species-rich meadows with many rare and endangered species, often having here very large populations or remarkably isolated occurrences distant from the centres of their natural ranges. Čertoryje Nature Reserve and its buffer zone, which form the majority of the LTER site, is the largest area of this precious habitat in the White Carpathians. Meadows which were not fertilized (or even ploughed up) under socialist agriculture in the second half of the 20th century are the most valuable. These meadows are usually situated on steep slopes which were hardly accessible to the machinery and were thus often totally abandoned and gradually overgrew with expansive grasses and scrub. Their current biological diversity therefore needs resumption of the former extensive management (scrub elimination and subsequent regular mowing without fertilization). These resoration activities started here in the mid 1980s. A fine-scale monitoring of vegetation succession after management restoration at one of these plots is a component of the long-term research here since 1989. The opposite extreme of socialist agricultural management of species-rich meadows was their conversion to arable land. These fields have been gradually re-grassed since 1989. Restoration of the former species-richness is however very slow (or even impossible) and needs special restoration measures. Hence another objective of the local long-term research is the succession on re-grassed arable fields. 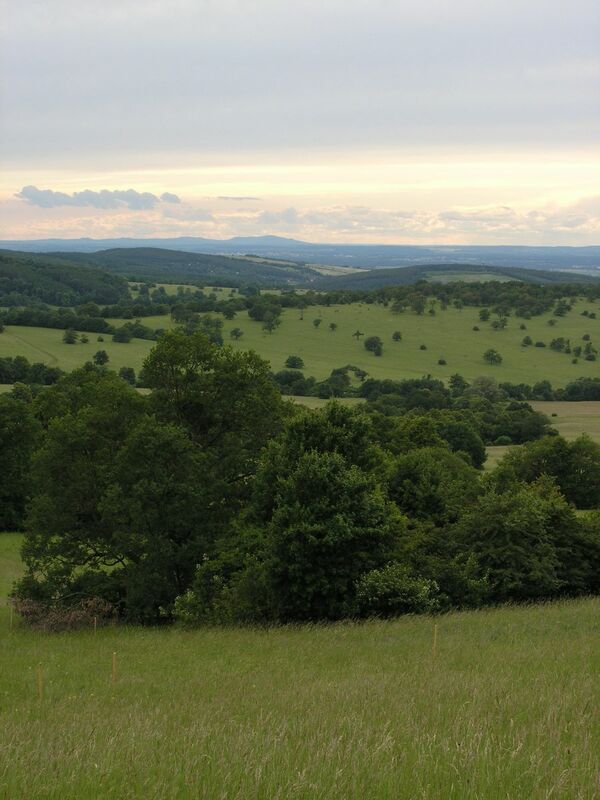 Spatially detailed observations take place on the eastern slope of the Výzkum hill and are aimed to find out an optimalized economic method of restoring a species-rich meadow (four variants are tested). Except vegetation succession also the development of several soil fauna coenoses (Testacea, Nematoda, Oribatida, Collembola, Enchytraeidae, Lumbricidae, Oniscidea, Diplopoda, Chilopoda, Opiliones, and Carabidae) has been studied here since 2000. Since 2009, also succession in a broader landscape context is studied, taking into account restored grasslands in a major part of the whole White Carpathian Mountains. More than one tenth of the localities from this landscape study takes place directly in the LTER site, representing about 100 hectares regrassed by a regional species-rich seed mix since 2000 and 30 hectares regrassed by a commercial clover-grass seed mix in the late nineties. The research is focused on both plants (mainly vascular plants, additionally also bryophytes) and animals (Auchenorrhyncha, Heteroptera, Lepidoptera: Hesperioidea, selected phytophagous Coleoptera).